We have been using Tapside for our coffee machine supplies and water cooler services for 12 years and are very pleased with the service provided. If there are any issues with the machines (very rare) they come out and repair or replace very quickly. Supplies are also promptly supplied and we have no hesitation in recommending them to any potential future customer. We at Scoffs have been working with Tapside for 8 years. The service over the phone that they provide and on delivery of the coffee is fantastic. They are are pleasure to order from as their service is very quick and precise. They make it easy for us. Most of our customers ask about the coffee bean and it has been proven very popular. We now also order our syrups for our flavoured lattes from Tapside. All in all they are a fantastic company to work with with excellent service. 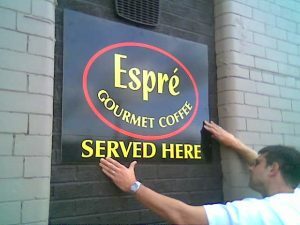 To say how delicious Espre is and how glad I am that The Bay Tea Room serves your coffee! The staff at Tapside are my new best friends and I look forward to working with you all! We really enjoyed our training yesterday and the neighbours were very impressed with the sample coffees they got after Claire left. Hopefully be able to put an order in soon. Thanks, Glenda. We have been dealing with Jack and the team at Tapside for over a year now.They have supplied us with a great coffee machine, great customer service and most of all fantastic coffee! We have worked with Tapside for many years, always helpful, gains an understanding of our needs and never tries to oversell. It has been a pleasure over the years and long may it continue.